Can Bentonite Clay Get Rid of Candida? - YeastInfection.Org by Eric Bakker N.D.
You are here: Home / Yeast Infection Treatment / Natural Medicines / Can Bentonite Clay Get Rid of Candida? 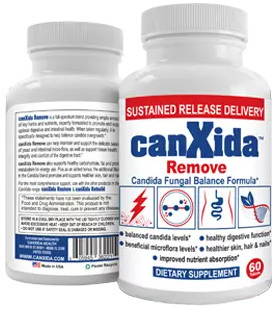 Bentonite clay cannot eliminate candida but it can help with the side effects associated with following a candida elimination protocol. Bentonite clay is also useful for any general detoxification program by reducing side effects due to eliminating toxins from your body. Bentonite clay, also known as Montmorillonite clay, changes it’s electrical charge when mixed with water, thereby allowing it to bind and remove toxins such as heavy metals and reduce symptoms caused-by die off reaction of yeast or bacteria. In addition, bentonite clay is composed of a long list of minerals, with high amounts of silica, aluminum, potassium, and calcium, which can be absorbed and used by the body. Bentonite clay can be used topically as well as taken internally for different conditions. Applying bentonite clay can help with rashes, bug bites, and even cysts. It acts to draw out toxins under the skin while simultaneously reducing swelling. If taken internally, bentonite has a similar effect in that it selectively binds toxins and can be used for conditions like gas, diarrhea, or reducing detoxification side effects. A great example of this useful function involves aflatoxin. Aflatoxin, a mold by-product whose ingestion can be fatal, will bind to bentonite clay and, according to a study by Phillips, can prevent aflatoxin from causing harm. Bentonite clay may also have other preventative effects. According to a study by Srinivasan, bentonite clay has been shown to remove copper, lead, zinc, as well as pharmaceuticals and other pollutants from drinking water, such as naphthalene. Naphthalene is a toxic chemical found in mothballs and tobacco smoke, has been shown to cause cataracts and is classified as a possible human carcinogen. Magnesium-incorporated bentonite clay can even remove fluoride from drinking water. As for illness prevention, a study from Clark demonstrated that bentonite clay was able to permanently bind to more than 90% of bovine rotavirus and bovine coronavirus. While the implications are promising, these studies were done in vitro (meaning in a test tube and not in the actual GI system) so it’s unclear if the effect would be the same in the body. Bentonite clay is available in powder, liquid, and capsule form but powdered clay is the most widely used and seemingly effective form. High quality bentonite clay will be grey or cream in color. A pure white bentonite clay should not be used. You can purchase good quality clay from a trusted bulk herb store or from an integrative healthcare provider and look for the NSF certification. For acne, scarring, or cysts, mix powdered clay with a small amount of water until it become a thick paste and apply to the area. Leave the clay on until it dries and then rinse off with tepid water. This can be repeated a few times a week to help clear up these blemishes. For GI concerns that are short-term and need quick relief, two teaspoons of powdered clay mixed in water and taken two-three times a day can help alleviate these symptoms. Bentonite works rather quickly and can begin relieving symptoms within a few hours. For longer-term dosing, one teaspoon mixed in water taken once a day would be adequate. As we mentioned above, bentonite clay binds to chemicals in the body, including pharmaceuticals, and essentially lowers the dose that makes it into the bloodstream. However, a study by Carretero found that, with some medications, bentonite clay will initially bind the medication, making it unusable, but will un-bind the medication later in the GI tract due to the change in pH. Therefore, it should not be taken with medication and you should consult your healthcare provider before starting a regimen involving bentonite clay. There have also been some instances where bentonite clay ingestion has caused some gas and mild GI discomfort. In addition, there is some concern about bentonite clay and it’s level of aluminum, which makes up over 9% of its composition. Aluminum is found in low amounts in humans naturally but higher concentrations have been linked to Alzheimer’s and it is unknown if aluminum causes cancer in humans. However, it is thought the aluminum in bentonite clay is not as readily available to be absorbed by the body because it is bound to the high concentration of silica in bentonite clay. According to a study by Tateo, when bentonite was ingested, they did not find detectable elevated levels of aluminum in the blood stream. If you still have concerns about aluminum, activated charcoal is a safer alternative. To use activated charcoal, open two capsules, mix in a small amount of water and drink the mixture three times a day for a few days. However, like bentonite clay, activated charcoal should not be used with medications for the same reasons as previously mentioned. Calcium bentonite clay has been used topically as a way to administer calcium to those who need supplementation. If this is of interest, talk to your healthcare provider about this alternative. Kanolin is also known as white cosmetic clay and is found in powdered cosmetics, soaps, deodorants, and scrubs. Kanolin is also used in paint, fiberglass, and ceramics and is not traditionally used for medicinal purposes. Some people have used low doses of bentonite clay (one teaspoon once a day) with no observable adverse effects. However, even though it appears to have selective binding to toxins and heavy metals, further research is needed to be certain that long-term ingestion of bentonite clay won’t deplete essential minerals as well. Long-term topical application tends to be well tolerated. Hi , Is there any good bentonite Clay which you could recommend and could be reachable online in Europe.